Periodontal treatment is necessary when various conditions affect the health of your gums and the regions of your jaw bone that hold your teeth in place. Retaining your teeth is directly dependent on proper periodontal care and maintenance. Healthy gums enhance the appearance of your teeth, like a frame around a beautiful painting. When your gums become unhealthy, they can either recede or become swollen and red. In later stages, the supporting bone is destroyed and your teeth will shift, loosen, or fall out. These changes not only affect your ability to chew and speak, they also spoil your smile. For more information about About Periodontal Disease or to schedule a consult with Dr. Maloney, use our Appointment Request form or call our office in Summit, NJ at Summit Periodontics & Dental Implants, Summit NJ Office Phone Number 908-277-2224. Periodontal diseases are ongoing infections of the gums that gradually destroy the support of your natural teeth. Periodontal disease affects one or more of the periodontal tissues: alveolar bone, periodontal ligament, cementum, or gingiva. While there are many diseases that affect the tooth-supporting structures, plaque-induced inflammatory lesions make up the majority of periodontal issues, and are divided into two categories: gingivitis and periodontitis. While gingivitis, the less serious of the diseases, may never progress into periodontitis, it always precedes periodontitis. Please use the patient information video and audiocast below for more information. 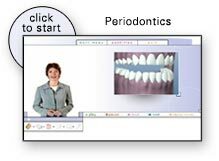 Use the multimedia presentations above and below to learn why periodontal maintenance is crucial to good oral and tooth health, as well as periodontal treatments that may be recommended to treat gingivitis and periodontitis. Please use our Appointment Form or call us today: Summit Periodontics & Dental Implants, Summit NJ Office Phone Number 908-277-2224.